The soundtrack to this morning is that iconic Lou Reed song, perfect day, an old classic that never gets tired, with no tricks, bells or whistles, it’s timeless because it’s simply good. 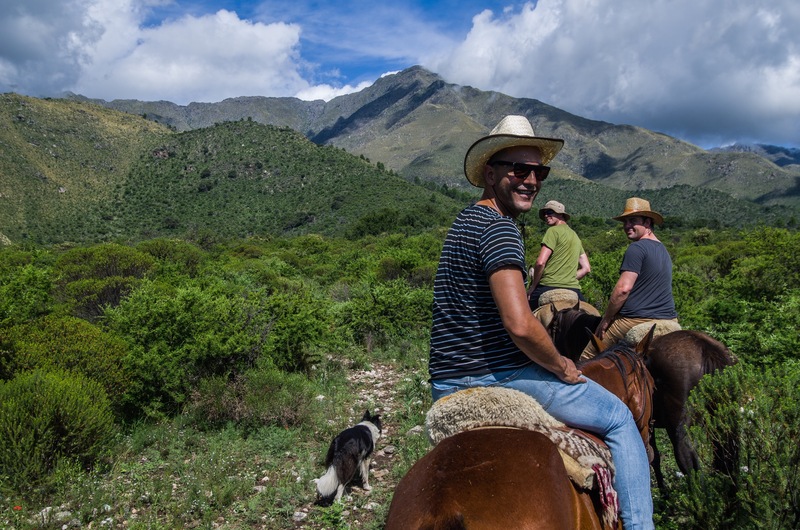 Jumping into this Argentinian ranch stay concept we’re flooded with a similar approach to our days; no tricks or games, just loaded with all that has made humans smile since we were able to smile. For sheer unclouded simplicity we are blessed with a perfect deviation from our everyday that is comfortingly not all that unfamiliar. We have jumped into what we are always happy to tout as the ideals for a happy life but all too often we deny ourselves or are distracted away from. In short we’re walking the talk and not needing to talk anywhere near as much. Ticking box number one we wake up when the slowly rising sun and the songs of birds decide, not to the call of an abrasive alarm clock. Even on this trip we often need to keep to a timeline, sometimes even more so than usual, but not today, today is for doing things the way we always dream of doing them. Strangely enough this doesn’t equate to sleeping in very much, we’re up and about to the rhythm of the world around us, more aware of whats outside the doors and less concerned about fitting into fabricated structure. Not to sound like a completely crazy hippie, but I will, the world around us and our own bodies are telling us plenty, on days like this we are able to hear it a bit more clearly. Box number two is up, Laf and Barnaby are off fly fishing for trout while we adopt the simple approach of enjoying our surrounds and reading books. As we sit in the grounds we can’t help but take a minute to think of just how perfect this is, what a start to a day. With Laf and Barns coming back triumphantly having caught a second trout for our Thursday lunch we call an end to the morning of laziness to head off to lunch. How many times have we all said in the midst of a busy stressful day that we’d like to just sit and read a book? Allow me to confirm that it is indeed all it’s cracked up to be. 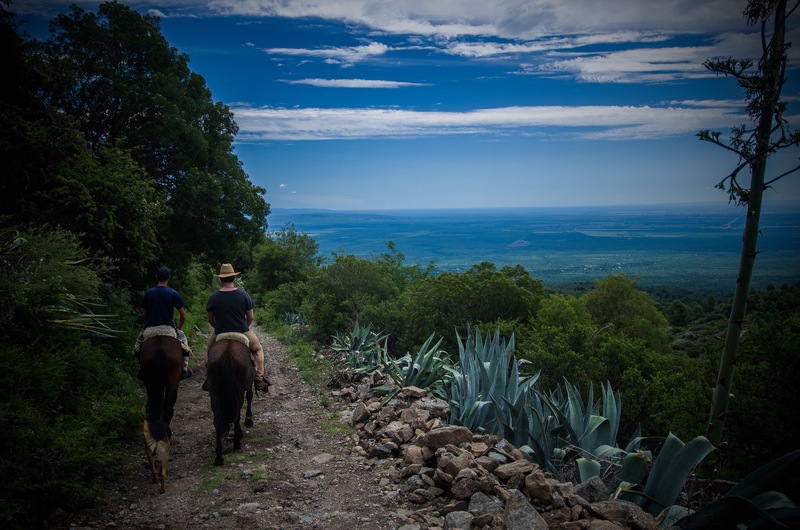 Post lunch we wander a little down the road to jump on horseback to head off for a little ride and explore some more area of the ranch. Apart from as a very small boy this is Laf’s first time on a horse so he’s a little nervously excited but gets into the swing of it pretty quickly. We clop down the road for a bit before jaunting off into the rolling hills. We are seriously going off road here as the horses have to negotiate a path that is anything but smooth. Jumping down deep steps and launching up rough inclines the horses are sweating up a storm and we’re definitely getting our moneys worth. Stopping to taste some wild walnuts straight from the tree we hear a distinct sound, yes, that’s the sound of box number three being ticked. All a little excited we return to the ranch and we get straight into ticking box number four; what ‘perfect day’ would be complete without a massage? The bizarrely awesome feature of this massage is that it’s done by a shaolin monk kung fu master. No, I’m not joking. In a small house just one ridge north an Argentinian kung fu master who has studied in China for five years lives in these mountains with two disciples. 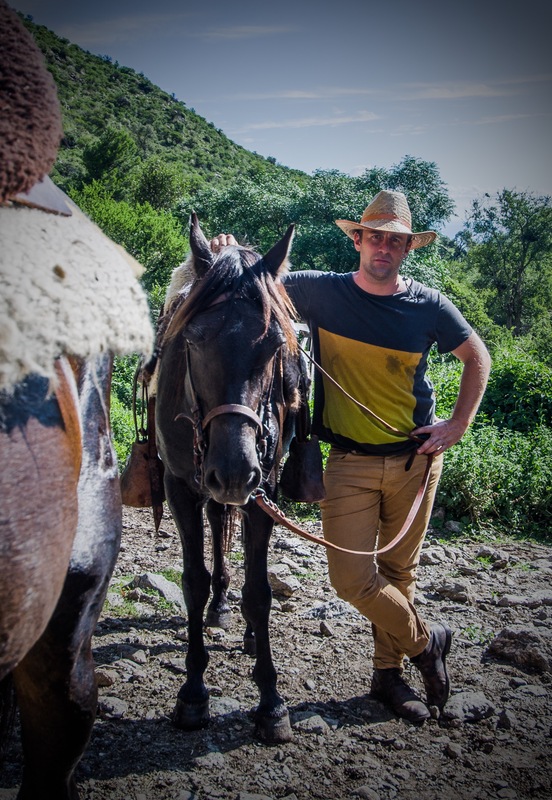 This juxtaposition of cultures is bewildering and perfect, were in an Argentinian ranch soaking up all the culture that it offers; and more. This is a feature that five star resorts would struggle to add, here though it’s just what happens to be occurring locally; amazing. Floating out of the massage room we return to the amazing surrounds for wine and gin; life really is fantastic at times. We wile away the afternoon ticking box number five as slowly as possible to the setting sun. On lawn chairs crowded into a small circle we catch up on everything and nothing, the world around us bursting with life of all forms taking in a commanding view of the blazing skies farewell to a day that few could script but all want to live. Box number five isn’t so much ticked as smashed, when it comes to a perfect setting to relax and float back to earth we’ve nailed it. Soon enough it’s dinner time and time for box number six to step up. Over a couple more bottles of wine we soak up time with close friends to the tune of laughs, hearty conjecture and when Barnaby is involved, bitchy wit. Yes box number six is truly the best for last, when asking just about any sane free thinking person what’s most important to them you’d expect to find family and friends pretty high on the list. Any perfect day wouldn’t be complete without our family in each other and friends like these. If we set our imaginations to describe a perfect day, the boxes would have been set, and now they’ve been ticked well and truly. As the song goes, ‘it’s such a perfect day, I’m glad I spent it with you’: It is and we did.